Wallace Bishop Jewellers celebrates its 100th birthday today. The iconic Brisbane family jewellery empire originated in Brisbane in 1917 and today continues with 56 stores Australia wide. 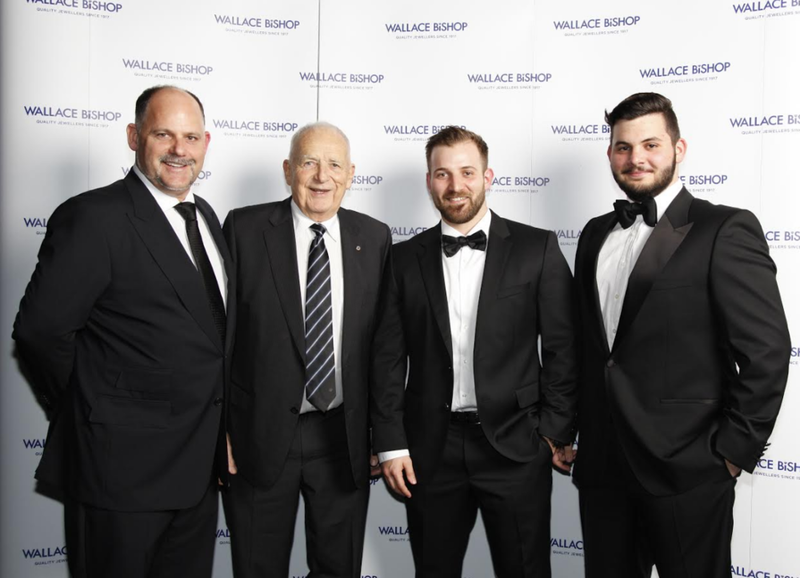 Wallace Bishop Jewellers was established by Mr Wallace Bishop and has since been managed by his son, Carl Bishop. Carl passed on the name Wallace to his own son, who remains Chairman of the company. Wallace’s son Stuart Bishop was appointed CEO in 2012. Stuart Bishop, Wallace Bishop ( Jnr) Alexander Bishop, William Bishop - third, fourth & fifth generation Bishop family members who work in the business today. Wallace Bishop’s first factory was located on Elizabeth Street and later moved to George Street, where it occupied three levels. In 1920 Bishop opened his first retail store on Adelaide Street in Fitzroy House and he later moved to prominent premises on the corner of Adelaide and Albert Streets, see below. Wallace Bishop Jewellery Store on the corner of Albert & Adelaide Streets, Brisbane, 1939. Image credit - State Library of Qld. Wallace Bishop Arcade, Brisbane, 1939. Image credit - State Library of Qld. In the late 1930s Bishop sought approval to build an arcade next door to their corner shop on the Albert Street side and by September 1939 the arcade opened, providing extra room for the Wallace Bishop store. In the 1950s Wallace Bishop’s main store was remodelled to include diamond and watch showrooms, giftware and extensive jewellery displays. More recently in the late 20th Century Wallace Bishop-owned jewellers Hardy Brothers occupied the Adelaide and Albert Streets store. Today this Brisbane family run business continues to pride itself on traditional craftsmanship and individual service, qualities which have stood the test of time. Stay tuned for further details about an upcoming exhibition at the Museum of Brisbane of Wallace Bishop Jewellery over the decades to be held later this year. Thank you to Fashion Archives for images and history.